Lettuce and arugula salad with apples and one radish. 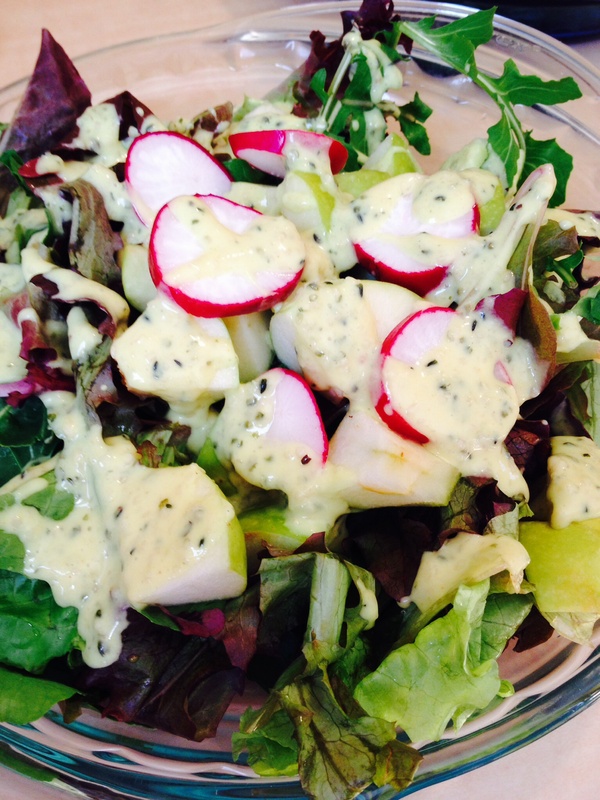 Yogurt honey mustard hemp seed dressing. 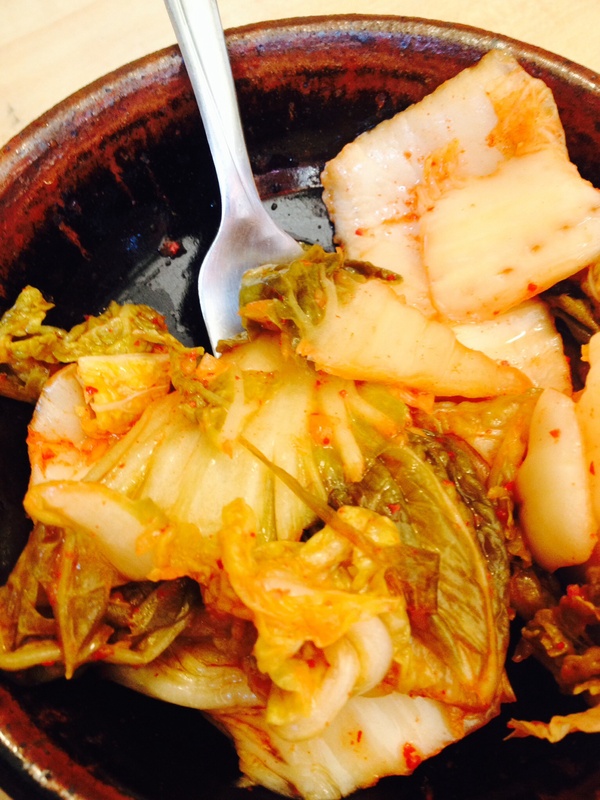 Kimchi on the side.